December 28 – December 30: Cal Ripken, Jr. Guests may purchase Candlelight Dining Packages to reserve a seat at the Candlelight Processional. These packages include a delicious meal and a guaranteed seat for one of the Candlelight Processional performances. There are breakfast, lunch, and dinner packages available. Breakfast starts at $27 for adults and $14 for children, lunch and dinner starts at $47 for adults and $20 for children. Each meal includes an appetizer, entrée, dessert and non-alcoholic beverage (or buffet depending on the location selected). Prices do not include tax, gratuity, or the required park admission. Participating restaurants include Akershus Royal Banquet, Rose & Crown Pub and Dining Room, Coral Reef Restaurant, Biergarten Restaurant, The Garden Grill Restaurant , Nine Dragons Restaurant, Restaurant Marrakesh, Spice Road Table, San Angel Inn Restaurante, Via Napoli Ristorante e Pizzeria, Les Chefs de France, Tokyo Dining, Teppan Edo, Tutto Italia Ristorante, Captain’s Grille, Trattoria al Forno, and La Hacienda de San Angel. Guests may call 407-WDW-DINE for reservations or book online by clicking here. Hurry – Availability is limited! 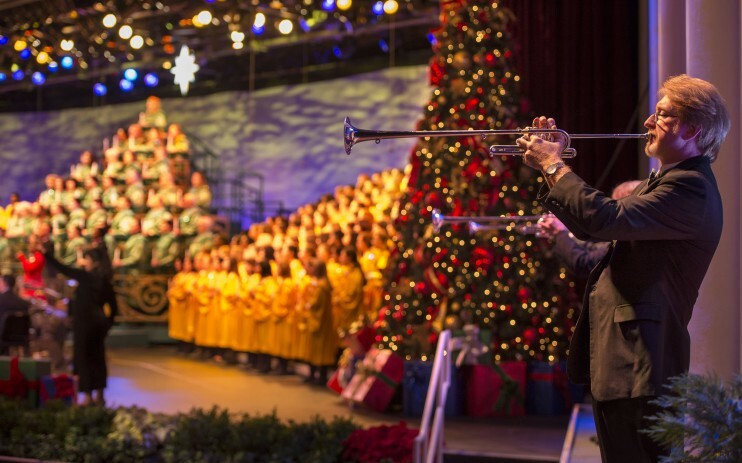 Have you attended the Candlelight Processional before? What did you think?